Many minority communities in Greater Vancouver trace their roots to the 1960s, when Canada removed race as a criterion for immigration. Unlike pioneering Chinese, Japanese, and South Asians, who started arriving in larger numbers in the 19th century, these have a young history that is largely unexplored and untold. 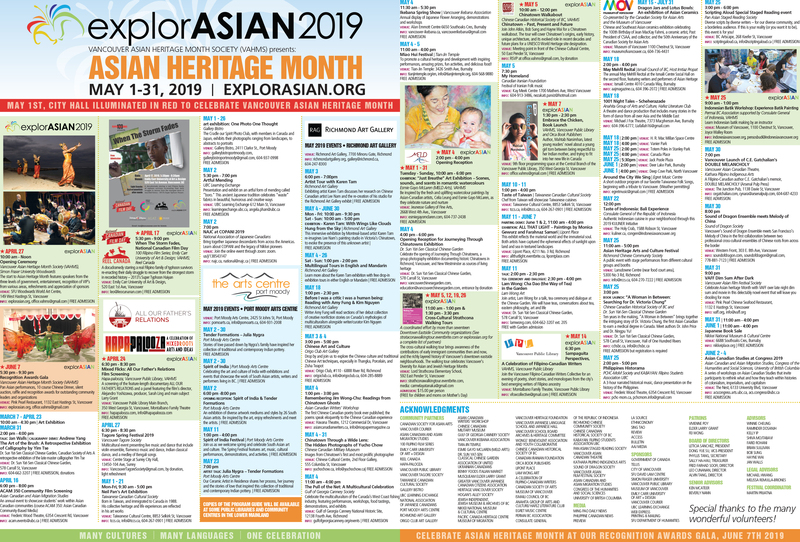 The Vancouver Asian Heritage Month Society is working with these various groups to chronicle and share stories about their early beginnings. Through the First Families, First Stories project, this process will provide communities a voice in the ongoing dialogue about Canada’s complex cultural fabric. The project will produce timelines reflecting the collective memories, struggles, and progress of these settlers. Exhibits will be mounted in May 2015 during Asian Heritage Month, a yearly celebration recognizing the rich history of Asian Canadians and their contributions to their new homeland.